What Happens When A Charter School Closes? From left to right, Holly Whistler with her daughter, 8 year-old MacKenzie Whistler. 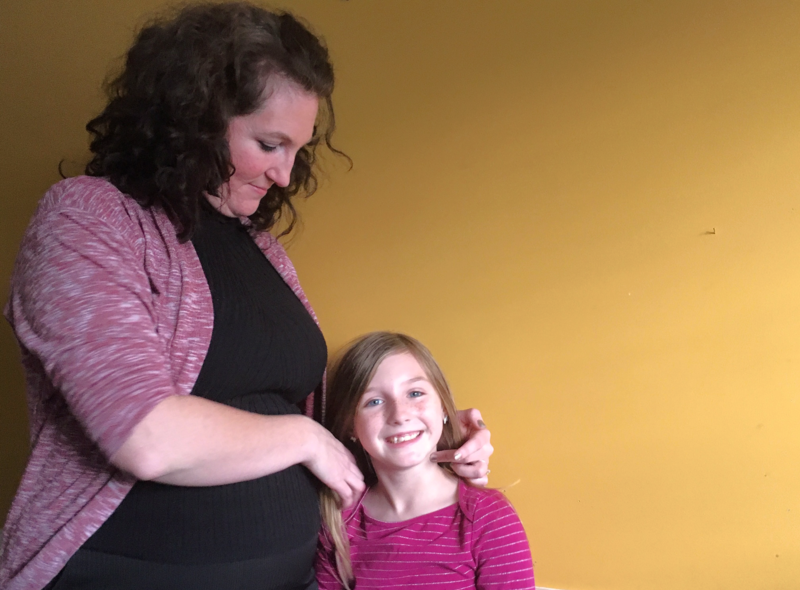 MacKenzie is switching schools in the middle of the third grade because the charter school she had been attending closed in December. Liz Schlemmer reports on the challenges families face when a charter school closes. Eight year-old MacKenzie Whistler had a rough start to her Christmas break. She had just found out that she would not be returning to her new school, Global Achievers School in Rocky Mount, this January. MacKenzie says when she found out her school was closing, all she wanted was to be left alone in her room. She loved her teacher, her new friends, and the school’s focus on project-based learning. She would miss all of it. Global Achievers School had just opened in August, and four months later the State Board of Education revoked the school’s charter because it didn’t have enough students. The new school had some problems right off the bat. Its initial enrollment of about 90 students was well below its projection. Then its building -- a 1940s schoolhouse in Spring Hope -- didn’t meet county code. The school relocated more than 20 miles away to Rocky Mount by the first day of school. Enrollment dropped again, down to 63 students by October, and continued to fall. Alex Quigley is the chair of the state’s Charter Schools Advisory Board and the director of a charter school in Durham. The Board advises the State Board of Education, and recommends when charter schools should open or close. Quigley says that kind of loss of students is a bad sign. “Because your budget is driven by enrollment, if you’re having enrollment issues, you’re probably having financial issues,” Quigley said. Quigley has seen a range of problems at struggling charter schools before, but this is the only time he can recall where a charter school didn’t meet the state’s minimum enrollment of 80 students when it opened. The board voted to close the school because it did not meet that statute. The Whistlers are not diehard school choice advocates, but they appreciated having the option to send their daughter to a charter school. MacKenzie had previously attended her local public school, until new boundary lines put her out of that school’s district. Given that MacKenzie couldn’t continue there with her older sister, the Whistlers shopped around for a new school, and found Global Achievers School as it was just starting up. 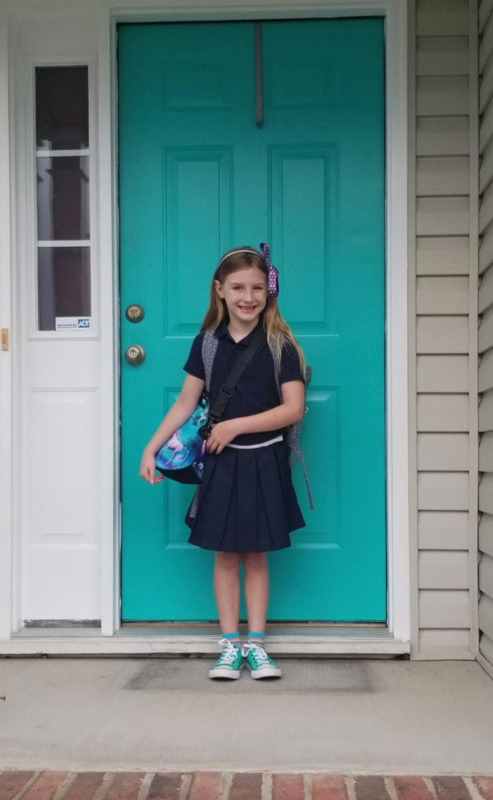 MacKenzie Whistler poses at her front door on her first day of third grade at Global Achievers School. MacKenzie and her parents started looking for another school after officials announced the closure. For this semester, they chose another charter school, North East Carolina Preparatory School. “We were a little gun shy to try another charter school, but this one’s been around a while,” said Holly Whistler. The Whistlers say moving MacKenzie into a new school again will certainly be a transition, but they’re most frustrated about what was lost when MacKenzie’s school closed. “It was very hard for us as parents because we like to be involved, and we had put a lot of sweat equity into the school,” said Holly. By sweat equity, Holly means volunteering in the classroom, fundraising, and making calls to help save the school. She feels like all that -- plus tax money -- is gone. And because state funding for public schools is based on fall enrollment, the money to educate MacKenzie won’t follow her to her new charter school. The Whistlers say they were left wondering why the oversight agency didn’t give their school more time, more leeway? Quigley, of the Charter Schools Advisory Board, believes when charter schools realize they’re not going to be successful, there’s a benefit to closing early. “I actually think that’s usually better,” for students, Quigley said. Data show that when a charter school has problems in its first three years, it usually continues to struggle over time, according to Quigley. This school had some early warning signs. The Charter Schools Advisory Board recommended last summer that the operator delay opening, but when the school found a new location quickly, it went ahead and opened. Global Achievers School is the 15th charter school to have its charter revoked by the state since 1997. Another 33 have closed after opening to students, either because the school’s operators relinquished their charter, or because the Charter Schools Advisory board and the State Board of Education chose not to renew a school’s charter. The reasons are unique to each school, but include financial and academic issues and non-compliance with state regulations. This year, the Board will consider 35 new applications to open potential charter schools. *The Fordham Institute is funded in part by the National Alliance for Public Charter Schools. For more information on the Institute's analysis of the NC Charter Schools Advisory Board's track record see p. 16 of Three Signs That a Proposed Charter School Is At Risk of Failing. Public school enrollment in Wake County grew by just 42 students this year. That's nearly 2,000 students less than county officials had projected. The decline in growth is in line with trends seen across the state and country. For the first time, North Carolina municipalities now have the authority to apply for and to operate charter schools after the General Assembly gave final approval Wednesday to the measure.